I’m here today with my DT make for the new challenge starting over on the Chocolate, Coffee and Cards challenge blog and our theme this fortnight is Lace & Glitter! 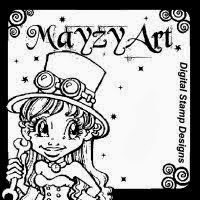 My card today features a Mayzy Art image called Shawna with Latte and she is available here. Such a fabulous image and so much fun to work with. I decided to use a mask to create my background which I have not done in ages using the glorious Imagination Crafts Sparkle Medium. Glitter to the max! I hope you will join us at Chocolate, Coffee and Cards this time. Now who doesn’t like lace and glitter! Check out the blog for all the wonderful DT inspiration and play along! Crafty Catz – Challenge #223 – BLING IT UP! WOW! This is gorgeous Jane. I love the image, fabulous colouring and the sparkly background looks wonderful. Wow love the color combo Jane.... love those sparkly effects on your card! wow! this card is beautiful! I love the image, I'm going to check it out! and you make monochrome colouring look so easy! love the glittery masked background and all that lace! Thank you for joining us this week in the Bling it up challenge at Crafty Catz ! Beautiful card with tons of detail! I love it! Thanks for participating in our Make Something Monday Challenge over at Where Life Meets Art!